Have you noticed yet that I have a small....(**cough cough...BIG) obsession with cookies? Also, apparently I have a thing for making new cookie recipes. Well this morning, little Miss 3-year old requested cookies for breakfast. Are you seeing a pattern here? Last time I made up a recipe was when she requested cupcakes for breakfast. You can find that muffin recipe here. 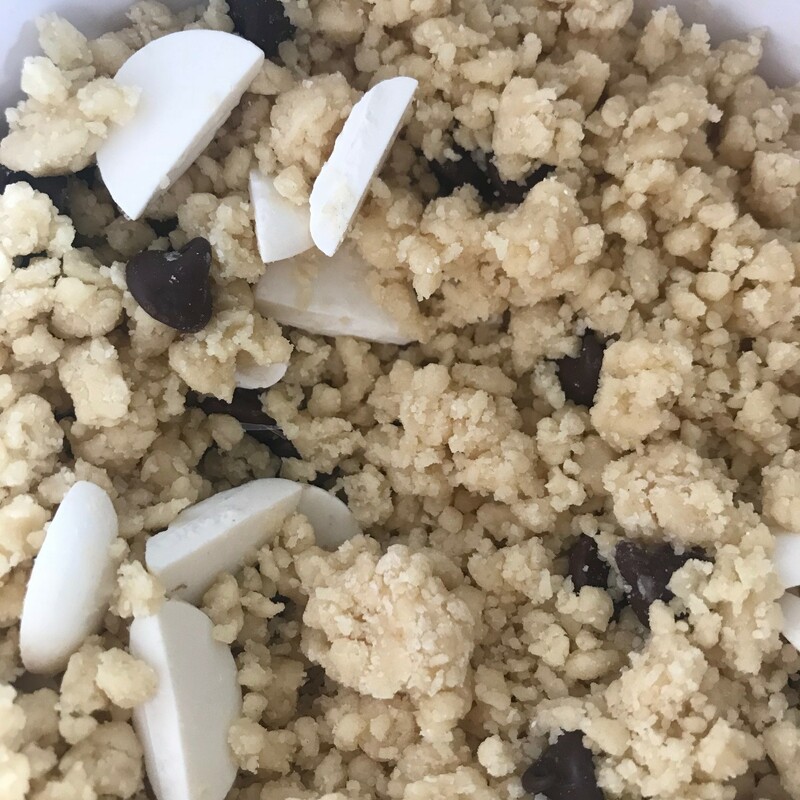 And, as I'm not really opposed to eating cookies for breakfast, making a high-protein and high-fiber cookie seemed like a fun challenge. That is where my education as a dietitian helps: I can find a way to justify cookies for breakfast. :) And I had all of these ingredients already on hand, so score! Add a glass of milk and a couple of apricots (which is what the Bean had with her cookies), and you have a fairly well-rounded meal. Each cookie in this recipe has 4.5 grams of high-quality protein. That's pretty dang good for a cookie. These cookies use whole grains. I used regular whole-wheat flour and instant oats (which are just whole oats that have been cut into smaller pieces for quicker cooking). They also have a healthy dose of omega-3 fatty acids because they have both walnuts and pecans in these babies. But, if you don't like nuts, you can keep them out. And, well...because I love chocolate, they have some semi-sweet chocolate chips in there. To amp up the protein even more, in addition to the whole grains and nuts, I added non-fat dry milk powder (yes, I have that on hand), and some 100% whey protein (I found mine in the bulk section of my grocery store for a very reasonable price. Also, it is nice that it is 100% whey protein without added stuff like non-calorie sweeteners). 1. Preheat the oven to 325 degrees; make sure the rack is in the center of the oven. 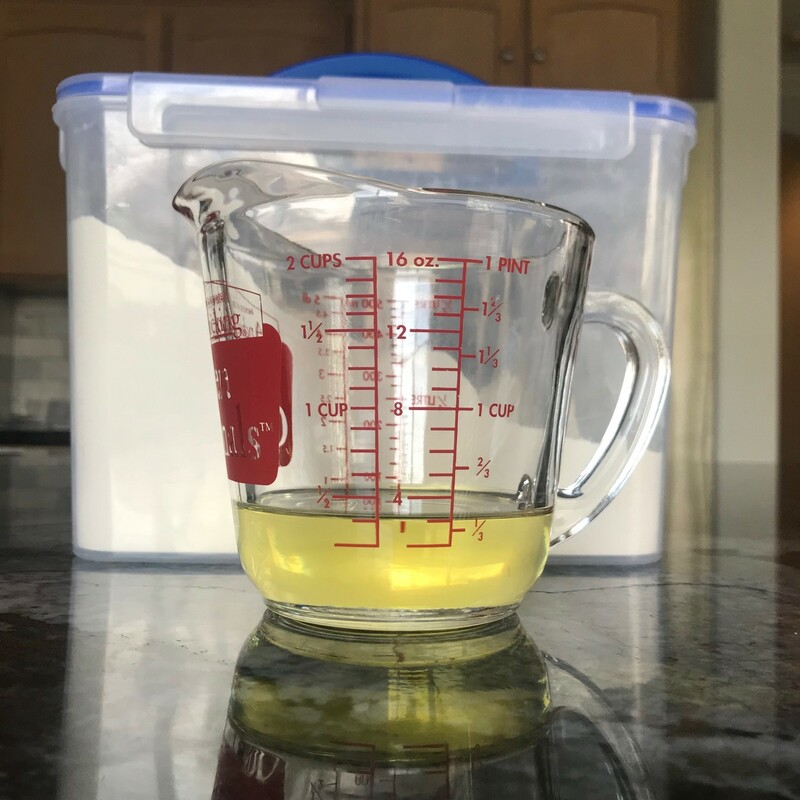 Melt the butter in a microwave-safe container (like a glass pyrex measuring cup) in the microwave for about 20-30 seconds. In a medium-large mixing bowl, add the butter, sugar, egg, egg yolk, and vanilla. Mix with a hand-mixer on high speed for a minute. 2. Mix the flour, baking soda, salt, oats, nonfat milk powder, and protein powder together until well combined. Add the flour mixture into the butter/egg/sugar mixture. Mix on low speed with the hand-mixer until just combined. Add in the nuts and chocolate chips and mix together. 3. 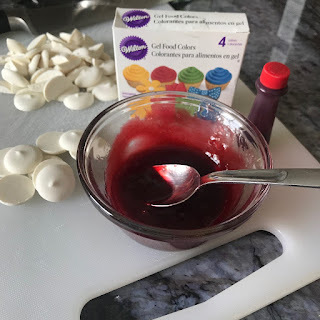 Place scoops of dough (I use a 1-oz. 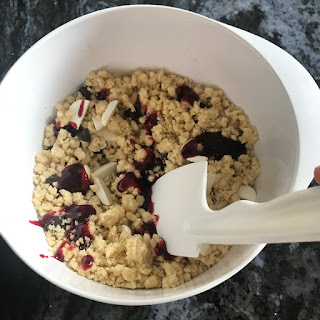 cookie scoop--about 2 Tbsp.) on a greased cookie sheet (or sheet with silicon baking liners). Flatten the dough balls a bit with the palm of your clean hand, or the back of a glass. Bake for 12-15 minutes, or until the edges just start to turn brown. 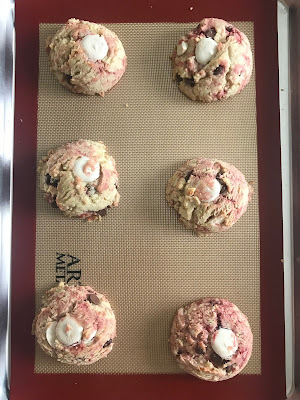 Allow the cookies to cool on the sheet for a couple of minutes before transferring them to a wire rack to completely cool (if you can let them cool before you eat one). 4. Enjoy! Store in an air-tight container. They are best the day they are baked, but will still be good for a few more days. And in case you are wondering if cookies made with whole wheat flour can taste good, the answer is: most definitely! 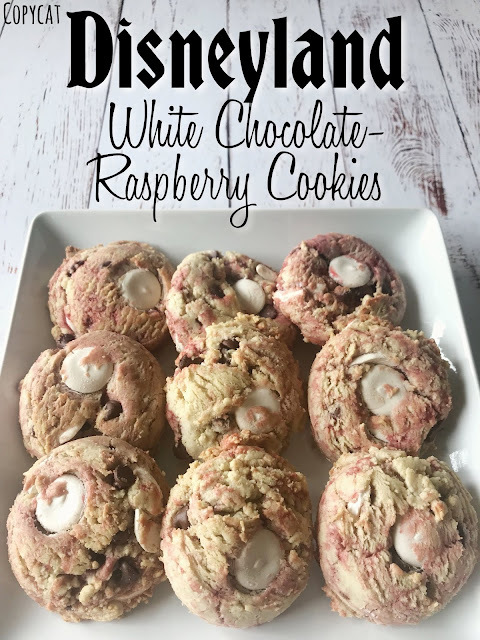 They have a lovely texture and an added nuttyflavor, But to tell you the truth, the 3-year old didn't notice anything different from plain-ol' regular cookies. And I couldn't really either. It's birthday season, and end-of-school-year season, and lot's-of-sewing-stuff season (wait, it's always that season), and I'm tired season. So when it came to choosing yet another cake to make for a birthday (and what did little Bean want? Chocolate of course!) I was extremely grateful for a simple recipe that was easy to throw together and not a ton of work (and most importantly, didn't leave a huge mess in my kitchen). Let's just say that I'm not the cleanest baker....and homemade cakes usually come with homemade frosting which often comes with powdered sugar....ALL OVER. The mess is augmented by the fact that I'm usually in a hurry which means I'm kind of frantically flailing ingredients around. So the best part of this recipe is that it contains very few ingredients and NO powdered sugar. The frosting is elegant because it's chocolate ganache, but ganache is SOOOOO much easier than a powdered sugar/butter frosting. Which led me to wonder: "why do I bother with any other frosting?" Hmmm...one of life's mysteries to ponder upon. Was I in a hurry with this cake? Of course. Did it take long to make? Not at all. Did it stress me out making this cake? Nope! Will I be doing this cake again? Possibly for every birthday from here on out whether it's asked for or not. Do I have a habit of asking myself a question and then answering it in the next sentence? Apparently! This cake takes about 5-10 minutes for the batter to come together, and then only 30 minutes to bake. And it uses regular all-purpose flour and still gives you a light and airy, moist texture. Mmmm. I also made it the day before and when it was cooled from baking, I wrapped the layers and froze them until a couple of hours before I needed them. I think this helps lock moisture in (keeping the cake moist) until the cake is needed. The buttermilk also helps with the fine, moist texture, as well as using boiling water. The original recipe from Hershey's calls for hot coffee, but I used boiling water (brought to a quick boil in my microwave in a glass Pyrex measuring cup) with a couple of teaspoons of vanilla instead. The end result is dark chocolate cake with a rich chocolaty flavor, fine crumb and moist texture. Then by adding a ganache frosting (just cream and semi-sweet chocolate....that's it) that is whipped until spreadable, you've got a delicious very easy, no-stress from-scratch chocolate cake. My dad said it was one of the best cakes he's every had. But.....he's my dad :). But this IS my new chocolate cake recipe I'll use now: for it's ease and lovely end result. And of course, because it tastes AWESOME. 1. Preheat your oven to 350*. Cut parchment rounds for 2, 9-inch round cake pans (or you can bake it in a greased 9 x 13 pan). Grease and flour the cake pan(s). 2. In a large bowl, whisk together until well-combined the sugar, flour, salt, baking powder, and baking soda. Then add the eggs, oil, buttermilk, hot water, and vanilla and beat on medium speed for 2 minutes. The batter will be thin. 3. Evenly distribute the batter between the pans and bake for 30 minutes, or until a cake tester/toothpick comes out just clean. Remove from oven and cool the cakes in the pan for 10 minutes. Then run a thin knife around edges of the pan and remove cakes to completely cool on a wire rack. Then either frost the cake, or wrap and freeze it until you are ready for it! 24 oz. 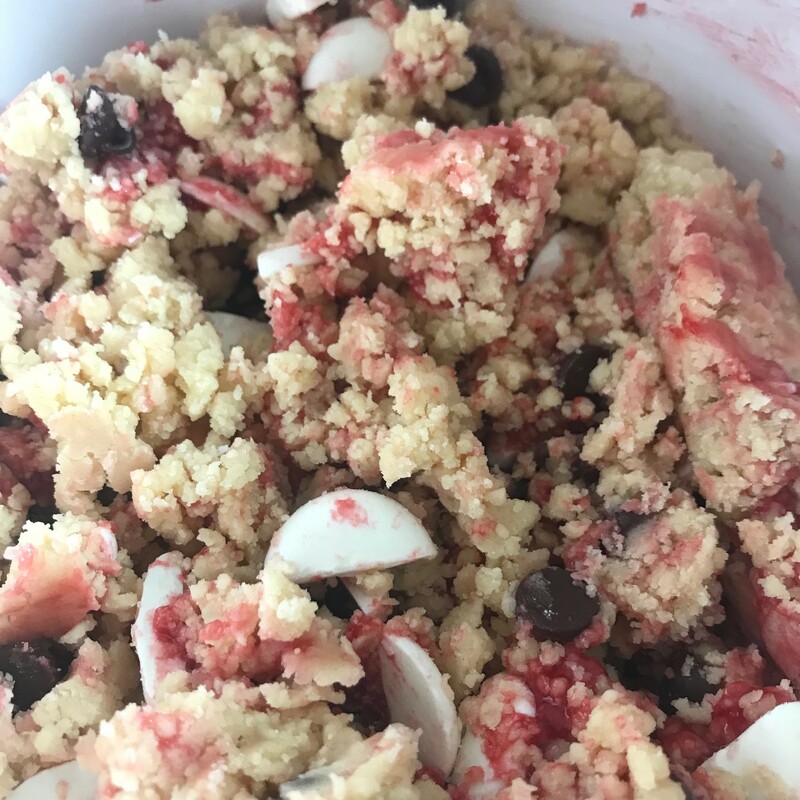 (1 pound plus 8 ounces) of semi-sweet chocolate, chopped (I confess that I used Costco semi-sweet chocolate chips here and it worked out awesome. 1. Place chocolate (chopped) in a large bowl. Bring the heavy cream just to a boil on the stove. Pour the cream over the chocolate and stir until chocolate is mostly melted. Let sit for a few minutes, then stir until completely smooth. 2. Cover and place frosting in the fridge until it is spreadable without being runny. If it gets too hard, place it in your microwave on reduced power (50%) for 10-second intervals, stirring in between to make sure you don't melt it too much. But if you do, just place back in the fridge for a bit for it to thicken it. When the frosting is spreadable, you can use it as-is and spread it on your cake, or whip it with some beaters for a few seconds. Keep in mind that the more you whip, the cooler the frosting gets and harder it may become (which may mean you will have to soften it again, but it won't ruin it). You can also use this frosting when it is slightly runny as a glaze to pour over the cake. You can't really mess it up, and it tastes great. And no powdered sugar! Enjoy! I know we sure did! (Especially the birthday girl...sniff sniff....who turned 3 and is growing up). It's the Beginning of Birthday Season! Which means lots and lots of cakes! First up? My mom! She loves spice cake and carrot cake, and I couldn't decide on one, so I did both! Let's see how many more sentences I can end with an exclamation point?! I can keep going like this all night! What's that?! You feel like I'm shouting at you?! And not in a jubilant fun way, but in a kind of aggressively joyful way?! (I'll bet you never read those two adjectives in succession before. Language: it's amazing). What were we talking about? Oh yeah, cake. Today I'll share how I made the carrot cake, although the spice cake was delicious too. Maybe I'll save that one for some other time. Now when it comes to carrot cake, there are at least a couple different camps. One camp with fruit (pineapple and possibly raisins), and one without. Sometimes there's the addition of coconut, most of the time there are nuts. Which camp does my mom lie in? She happens to like her carroty cake with pineapple, but she didn't say anything about raisins (thank goodness because plump, juicy raisins in baked goods are just gross), which means I left them out. And...well, I left out the pineapple too (sorry Mom), because I can't stand most baked fruit in desserts. Pineapple gets mushy and stringy. And raisins...I already covered that. Plump and juicy are not the adjectives that I want with raisins. Actually, I don't really want raisins with any accompanying adjectives. 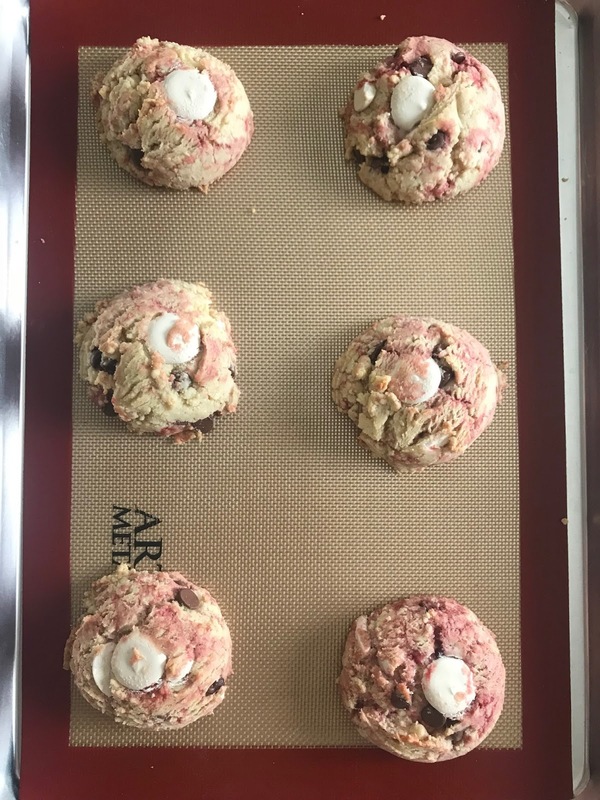 Let's just say that you'll most likely never see a recipe for oatmeal raisin cookies on this blog. Kind of sad since I was born and raised in the Raisin Capital of the world. I was a little selfish in making this cake. Because I wanted some carrot cake too, so I sided with the no-fruit camp. But it wasn't my birthday, so I guess I'm sort of a jerk. But I made her a cake, so that gives me some redemption, right? Ok, now I'm feeling guilty. Where do I stand on the nut issue in this cake? It shouldn't surprise you that I'm pro-nut (when you can't beat 'em, join 'em, or when in Rome..., or some other cute saying that may apply here). So this cake has pecans (not walnuts) in it to enhance the flavor and texture. Hitting a crunchy nutty spot in a bite of cake: totally acceptable. 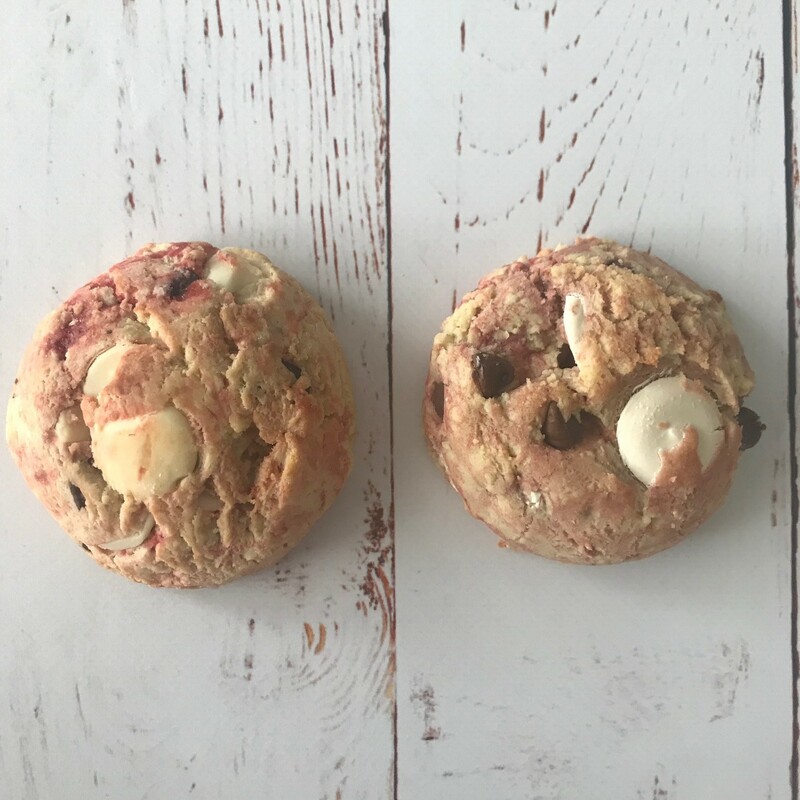 Hitting a smooshy gooey raisin: completely unacceptable. In my opinion, the best qualities of this I'm-A-Jerk Carrot Cake include the fact that it has three moist layers (so it is decadent) and it is covered by a traditional cream cheese frosting that is amped up a bit with a hint of ginger and orange flavor. And of course, the best quality (for which it is named): it has NO fruit in it...which makes me a bit of a jerk. There is nothing to get in the way of enjoying this cake. No stringy pineapple bits to pull out of your teeth later, and no fat raisins you have to eat around, and possibly gag on when you miss one and you suddenly find yourself with a goo of sickeningly sweet, slightly fermented raisin in your mouth that has broken through it's skin. So yay for that! Once again, overkill. I think I made my point on my disdain for raisins in baked goods. I didn't spend hours poring over the pages of the Internet in deciding which recipe to use (I may sometimes do that....), mostly because I didn't have time. But I followed Paula Deen's recipe found here (because it didn't have fruit in it and had a lot of good ratings, many of which I read through), with some minor adjustments. And as a side note, there is NO WAY that this cake serves just 8 (which is what Ms. Deen's recipe states). It has three layers, people. It definitely serves at least twice that many. And for the cream cheese frosting, I decided to amp it up a bit with a hint of orange and some fresh ginger. I got the idea from this recipe from the Food Network here. Making this cake is not difficult; it uses simple ingredients, most of which you probably have on hand, and uses all-purpose flour (not cake flour), so it's even more user-friendly. I also used my hand-mixer instead of a stand mixer, which also made it less complicated. You make a simple cake base with some cinnamon, nutmeg, and ginger, and fold in some chopped pecans and 3 cups of carrots. Then divide the batter evenly between 3, 9-inch round cake pans, bake for about 25 minutes (also an alteration from her recipe---the original recipe calls for 40 minutes, but the cake would be way overbaked by then). The trickiest part of making this cake is making sure you use parchment paper in the bottom of each cake pan. And even then you need to spray the parchment and sides of the pan generously with cooking spray. If you don't, your cakes will stick rather badly to the bottom and sides. I ran a thin knife around the sides of the cake pan after the cakes had cooled on the rack for about 10 minutes. And I had to coax the bottom (apparently I left about 1/8th of an inch ring uncovered by parchment) out a bit carefully. To make parchment rounds, trace the bottom of your cake pans onto parchment paper and cut them out. 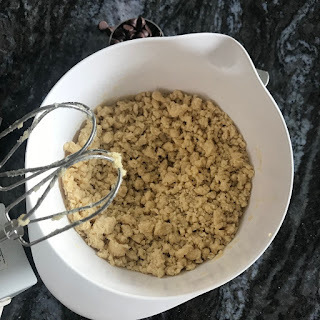 Then spray the bottom of the cake pan first, place the parchment inside (now the parchment will stick to the pan), and spray the parchment and sides of cake pan again. Or....order parchment rounds off of Amazon. I totally intend to do that some day, but for some reason I haven't brought myself to do it yet. The layers of this cake don't rise very tall (they're about an inch thick each). When the layers are cool, I recommend wrapping them in plastic-wrap and placing in freezer (if not eating/serving the cake that day). I made this cake the night before it was served, and I actually froze the frosting in layers too (I piped frosting on wax paper inside two of the cake pans to make two layers of frosting). The frosting took about 30 minutes to freeze enough for me to layer my cake with frosting (minus the top layer of frosting) right in one pan, and inverting the other pan over the top to encase the cake. I then used plastic wrap to seal the two cake pans and kept the cake in the freezer until about an hour before it was served. Then I frosted the top, decorated it with some whole pecans, and it was ready to go! 1. Preheat the oven to 350 degrees Fahrenheit. 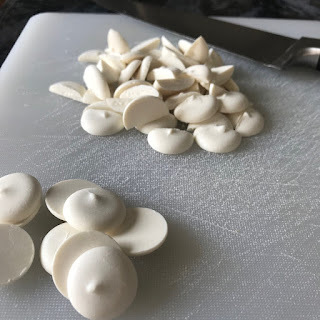 Cut 3 parchment rounds and place in the bottom of 3, 9 inch round cake pans. Grease the pans. 2. Combine the flour, sugar, spices, baking soda, and salt together in a large bowl; whisk to evenly distribute ingredients. 3. 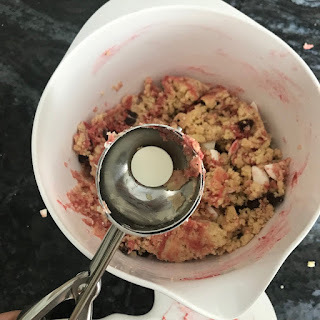 Add the eggs in one at a time while using a hand mixer on medium. Add the oil in a slow stream until all combined. Fold in the carrots and pecans using a spatula or large spoon. 4. Distribute the batter evenly between the 3 pans, and bake for 25 to 35 minutes. Begin checking for doneness around 20 minutes. The cakes are done when a cake tester (toothpick) comes out clean, or with a couple of moist crumbs. 5. Allow cakes to cool in pan for about 10 minutes, then carefully run a thin knife around the edges of the pan to release any portions of the cake that may be stuck to the sides of the pans. Carefully remove the cakes from pan (careful, the layers are not very thick) and cool completely on a wire rack. You can either frost them when they are completely cool, or wrap the layers in plastic wrap and freeze until you are ready to use them. 6. Place bottom layer of cake on serving dish, top with the cream cheese frosting, followed by another layer of cake and a subsequent layer of frosting. Add the last layer of the cake and top it with frosting. I left the sides free of frosting, but feel free to frost the sides if you want to. I decorated the top of the cake with half pecan pieces. Refrigerate the cake before serving, at least one hour (if it was not previously frozen). Store the leftover cake in the refrigerator. 6 cups + powdered sugar. 1. Grate the ginger onto a piece of cheesecloth, a sturdy paper towel, or a coffee filter. Squeeze the juice into a small bowl. You should have around 1 Tbsp. of ginger root juice. Add the vanilla, orange zest, and orange juice to the bowl. ginger root juice: smelled great! 2. In a separate medium-large bowl, mix the butter and cream cheese bricks together on high speed until fully combined and creamy. Beat in the juice mixture on medium speed. 3. On low speed, add powdered sugar 1 cup at a time until you achieve the desired consistency. Any un-used frosting can remain in an airtight container in the refrigerator for up to two weeks. This cake and delicious frosting was a crowd pleaser! And it didn't take too long to make; it was delicious and not too complicated. Luckily I wasn't too big of a jerk: my mom liked it. So I only felt a small twinge of guilt as I enjoyed my piece. Next up on the birthday parade? My husband. But he doesn't like cake, so I guess I'll avoid being selfish this time and actually make something he really wants ;). And if I'm lucky, I'll like it too (but let's face it, if it has sugar in it, I'm probably gonna like it. As long as it doesn't include raisins! ).